Capital Bluestone has announced Woolworths and ALDI as supermarket tenants at Sutherland Shire’s newest shopping centre – Bay Central, a shopping, lifestyle and dining hotspot next to Shark Park. Construction of the 18,000m2 Bay Central is expected to commence in late 2019 and will take approximately two-and-a-half years to build. Other tenants to be announced shortly will include a large format bottle shop, childcare, gymnasium, pharmacy and ancillary medical services as well as key commitments to the dining and restaurant precinct. The fresh food precinct is targeting a market style fruit & vegetable operator as well as a seafood operator, butcher, delicatessen and artisan baker that will see Bay Central become the premier fresh food centre for Sutherland Shire. With a focus on convenience, local daily needs, lifestyle and services, the retail mix will be deliberately skewed towards providing high-quality operators and brands in health, beauty, hairdresser, barber, day spa/wellness centre and more. 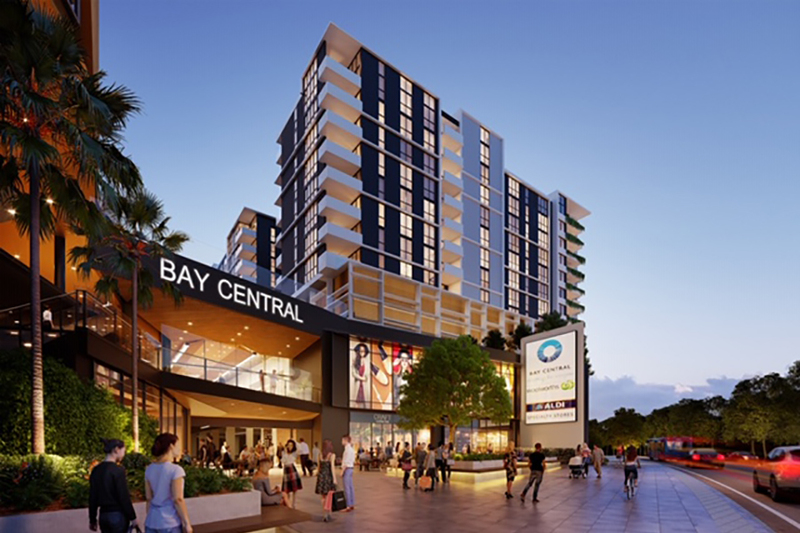 Capital Bluestone Managing Director Ben Fairfax said Bay Central is set to become the natural heart of the $1 billion Woolooware Bay Town Centre community. “Bay Central will not only be a place for people to shop but also a place for the local community to socialise, make connections and dine. It will fill a gap in the local retail offering and bring new levels of amenity to people living at Woolooware Bay and beyond. We see Bay Central as being the Sutherland Shire Town Centre,” Fairfax said. “For residents, the new Bay Central offers convenience and choice. For retailers, the fundamentals are compelling. The Woolooware Bay Town Centre community will be home to more than 2,000 residents on completion, while drawing on a much broader catchment, due to the uniqueness of offer and key anchor tenants. “The centre’s prominent location on Captain Cook Drive just 1km from Woolooware train station, its ease of bus and train accessibility, as well as the thousands of Sharks supporters on game days, amount to substantial foot traffic. In all, the 18,000m2 Bay Central will house the major tenant announcements plus more than 50 specialty shops, with tenancies ranging from 70m2 to 1,000m2. It will feature two waterfront restaurant precincts with alfresco dining and include secure and undercover parking for 770 vehicles. Bay Central forms a key part of the final stage of the $1 billion Woolooware Bay Town Centre community, which will also include approximately 250 apartments integrating key worker homes, and a revitalised Cronulla Sharks Leagues Club.